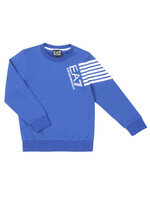 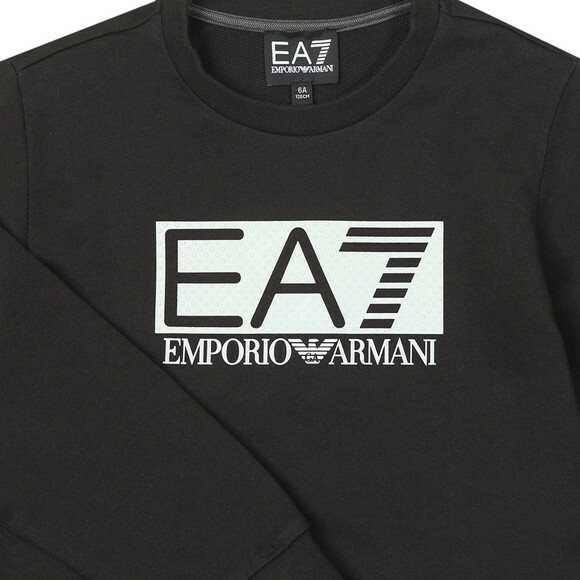 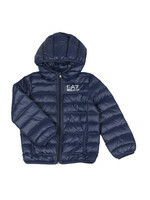 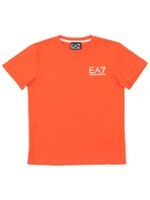 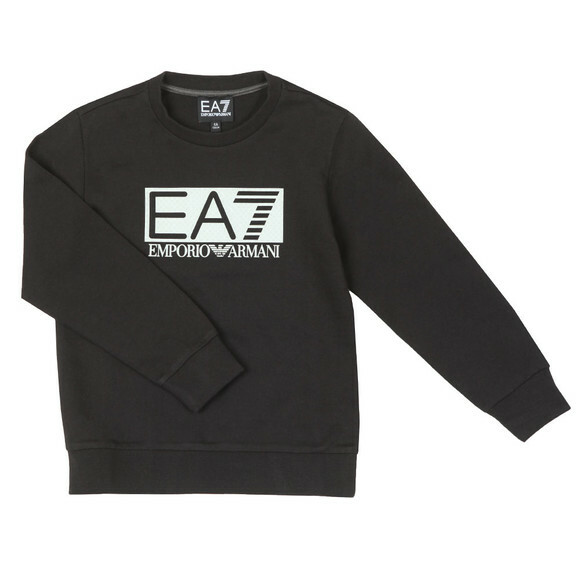 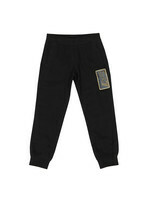 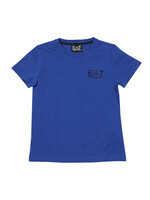 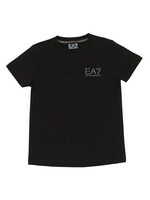 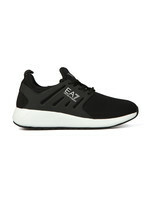 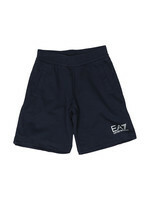 EA7 Emporio Armani Boys Large Rubber Logo Sweatshirt, In Black. 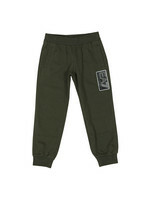 Made from a mix blend of cotton and elastane. 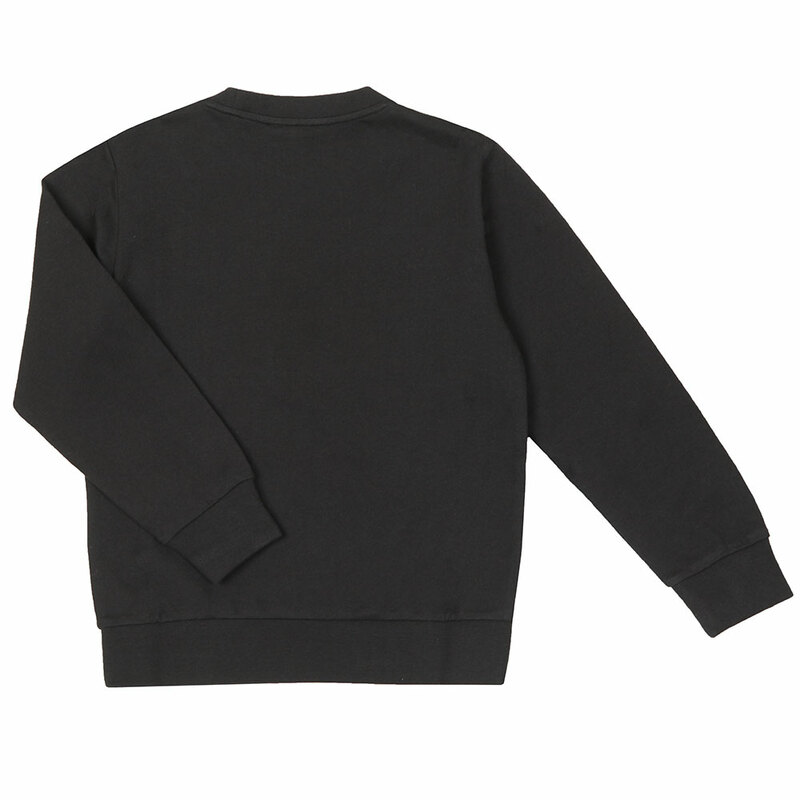 Featuring a crew neckline, ribbed cuffs and hem. Finished with the rubber style EA7 Emporio Armani logo to the center of the chest.